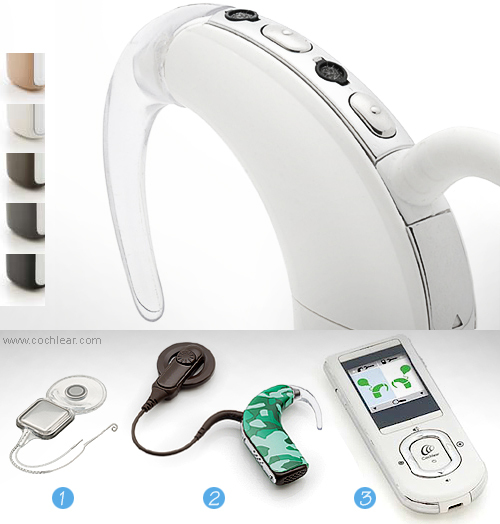 Cochlear Nucleus® 5 System is a breakthrough hearing solution for people with severe to profound hearing loss. The world’s thinnest and strongest Cochlear Implant, the CI512. At only 3.9mm, its slim design helps to reduce invasive surgery and operating time. A small, slim and water-resistant (IP57) Sound Processor, CP810, with automatic phone detection and two in-built microphones. The digital signal-processing chip has four processors performing over 180 million operations per second to interpret incoming sounds from different environments. The only bi-directional Remote Assistant, CR110, available with a full colour display and intuitive navigation. 9 mm thin x 42 mm height. Graham Moxon goes deaf overnight and gets a cochlear implant. See Hear - Episode 27.